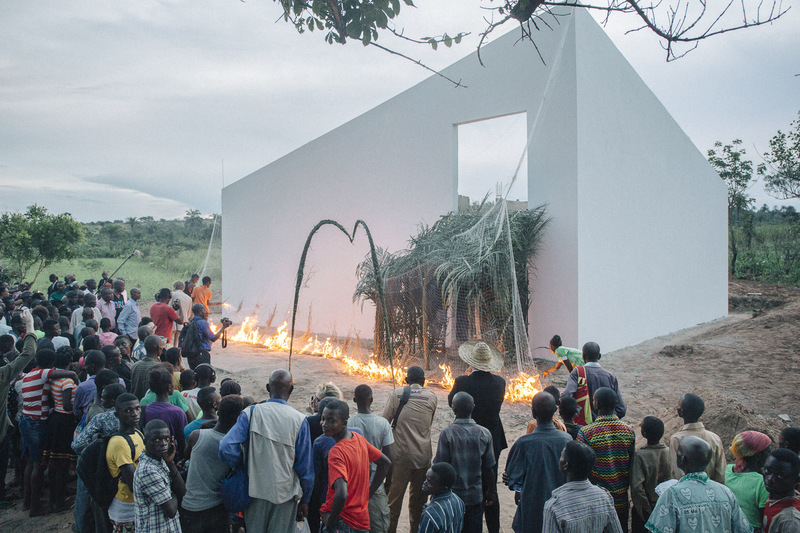 In April 2017, IHA and the cooperative Cercle d’Art des Travailleurs de Plantation Congolaise (CATPC) celebrated the Repatriation of the White Cube. 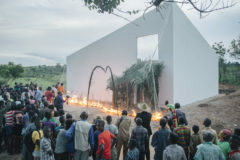 A quintessential White Cube, designed by OMA, was inaugurated on a former Unilever palm oil plantation in Lusanga, DR Congo. With the establishment of the White Cube, the mechanisms through which plantations underwrite the art world are reversed. It attracts the capital and visibility needed to invent a new ecological and economic model on site: the post-plantation. Former plantation workers develop this new model for landscape restoration in close collaboration with Commonland, notably through various working sessions in Lusanga. The next institutional design and agriculture workshops in Lusanga will take place from 11 to 20 February 2019. 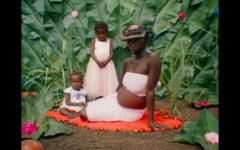 This model is sustained by CATPC’s White Cube program, that couples artistic production with experimental agro-forestry. 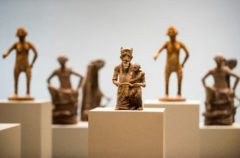 It has resulted in the harvest of the first batch of cacao, but also the creation of various sculptures, produced in clay before being cast in chocolate. In 2017 the exhibition of these sculptures was hailed as “The most challenging show of the year” by the New York Times. More recently, the cooperative has started to participate in performative works and films — such as the video directed by Baloji that premiered at the 2018 Sydney Biennale.